As the neuroscientist-in-residence here at Gazepoint, I was happy to represent the team at the Society for Neuroscience Annual Meeting held last week in sunny San Diego, California. It was a great opportunity to catch up with the latest neuroscience research that involves eye movements and gaze, and it was amazing to see how creative researchers can get about integrating eye tracking data in their experimental designs. In eye tracking we often like to use the cheesy saying “Eyes are the window to the soul” to make a point, but now researchers are increasingly showing that there is some truth to that statement. For example, one team of researchers showed that eye movements can indicate when memory formation is taking place even when study participants are not able to consciously retrieve the memory. These types of studies continue to confirm the strong connection between eye gaze and a large variety of different brain activities and firmly establish eye tracking as a powerful tool in neuroscience. The SfN meeting is also a great place to connect with other eye tracking companies who are taking part in the exhibits and I had a great chat with the friendly folks at the EyeTracking booth. 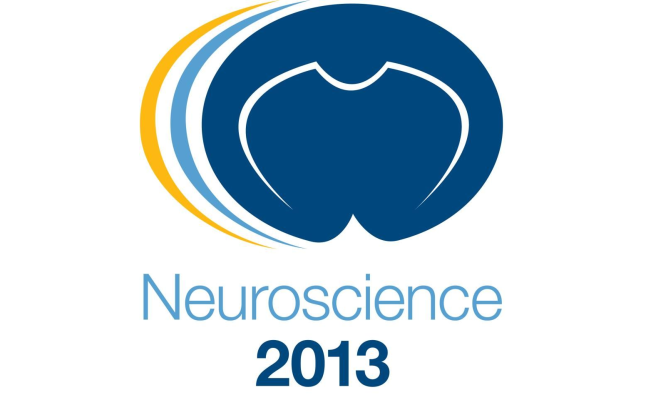 Are you using the GP3 eye tracker or one of our software products in your neuroscience research? If so, we would love to hear from you and feature your research on our blog. Drop me a note at julie@gazept.com!